The Mowasat is Kuwait’s oldest private hospital and in 1998 its owner, the Al Wazzan Group, recognised that it required urgent upgrading and expansion. The total demolition of the existing hospital and replacement by a state-of-the-art hospital on the same site. Ensuring the continuous functioning of the hospital throughout the period of demolition and construction. Ensuring that the resulting hospital reflected the most up to date standards of U.S. health care. 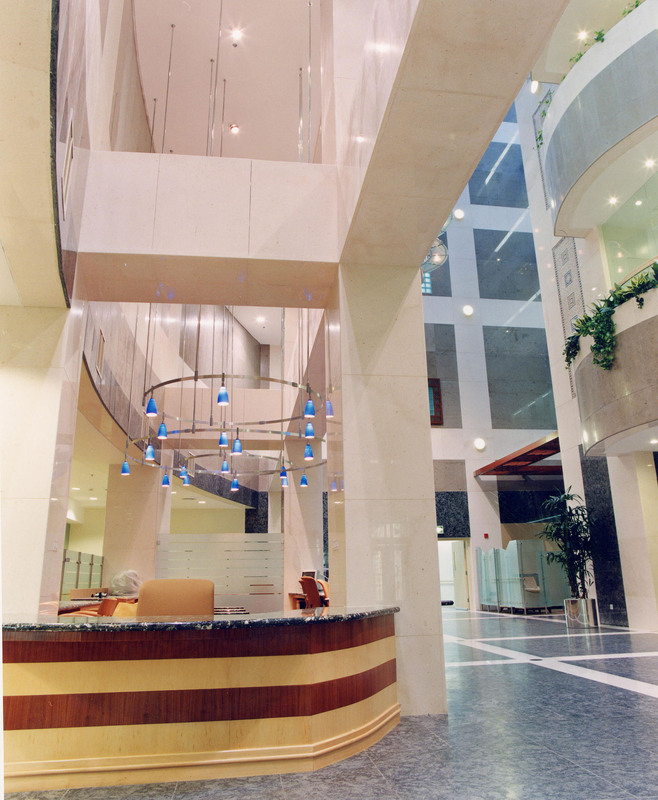 Gulf Consult were commissioned to provide full engineering services and detailed architectural input. Rees Associates of USA were the specialized hospital planners and concept architects, with Turner as the Construction Manager. The project was divided into two phases, allowing occupancy of the first phase to permit the existing hospital to be demolished before the commencement of Phase II. The project was designed and constructed on a fast track basis, with more than 20 bid packs.